Director Todd Phillips recaptures the same feeling and style that will remind of you the Hangover films. Despite being labeled a comedy, this film felt more like a series of humorous moments. Jonah Hill, in my opinion, completely steals the movie. He continues to deliver in various ways through his character's insults, role playing, and banter with Miles Teller's character. One of the things that I appreciated about this film was the writing. The movie explains the concepts of gun trading so effectively and practically that almost anyone can understand it. (Even if you're completely against the idea of war.) This was especially essential when certain plot points occurred in the story. We're not left in the dark about the impact of certain events. There didn't seem to be any major standout scenes. While were good, they didn't have much lasting power. Unfortunately for this film, the story was rather predictable. You can see the plot twists from a mile away, and the character telegraph their motivations pretty clearly. Miles Teller, despite being cast as the lead, never really felt like he stepped up to the challenge. Jonah Hill danced circles around him in terms of acting. Above all that, the movie felt a little long. It's hard to say what didn't need to be there, but I think that the pacing of the film drag the movie. War Dogs was enjoyable and entertaining in my opinion. It felt like a more serious spinoff of the Hangover, but nevertheless it was a decent watch. Seeing as though this was based on a true story, it may even compel you to do a little research because the ending of the film had many people in the audience literally saying "WTF?!". 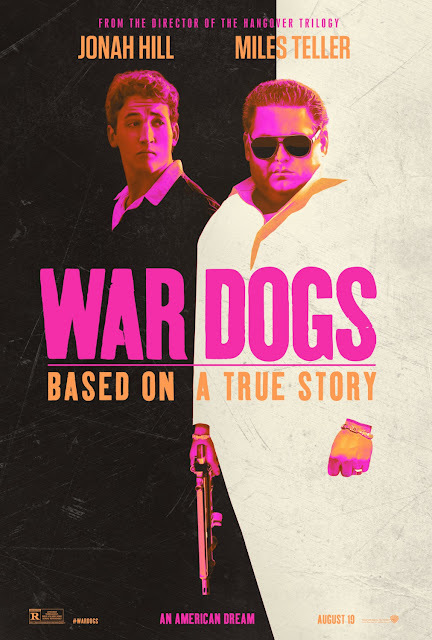 Give War Dogs a shot, but go in with low expectations.